Secure the best views in your journey through space. 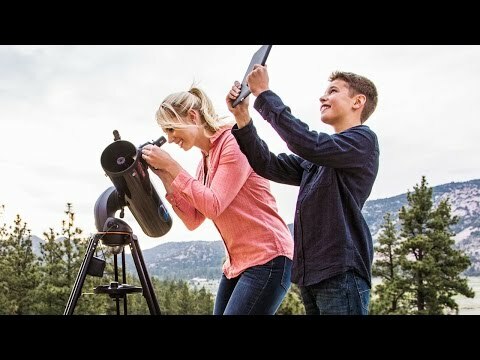 Celestron telescopes give you sharp, high-contrast, and high-quality images of the moon and different planets. Its large aperture opens wide to gather a lot of light and enhance your view of the belts and moons of Jupiter and Saturn’s magnificent rings. Now you can space travel from home. Dimensions: 28" x 34" x 52"